Sharing data externally with suppliers, vendors, manufacturers, etc. 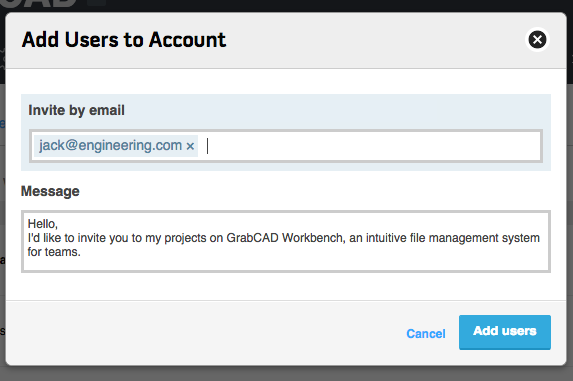 There are several ways to share files with your teammates and external partners on GrabCAD Workbench. As the admin, you can control the users in your Workbench account. 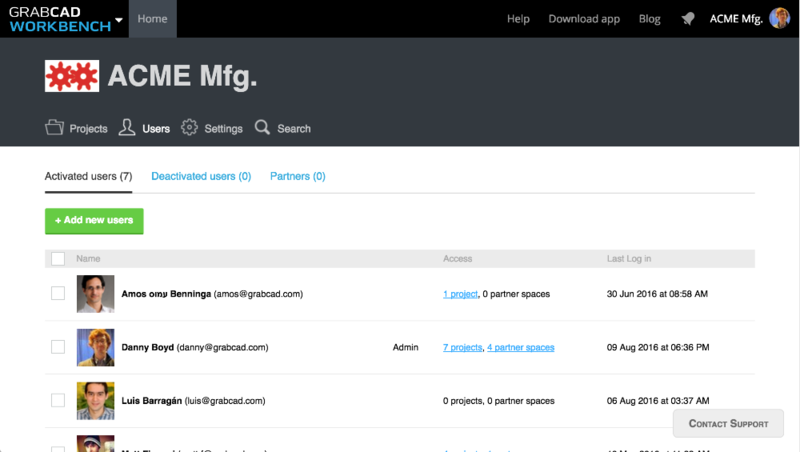 This includes the ability to add users to your account and assign them to projects. To add a new user, go to the "Users" page of your account and click on the "Add new users" button. In the 'Add users to Account' popup, enter the email address of the user you want to add to your account. Now select the projects the users will have access and their permission on these projects. Click on "Add" to add the users to the selected projects. Users who need access to all project files on a day-to-day basis can be added to projects. 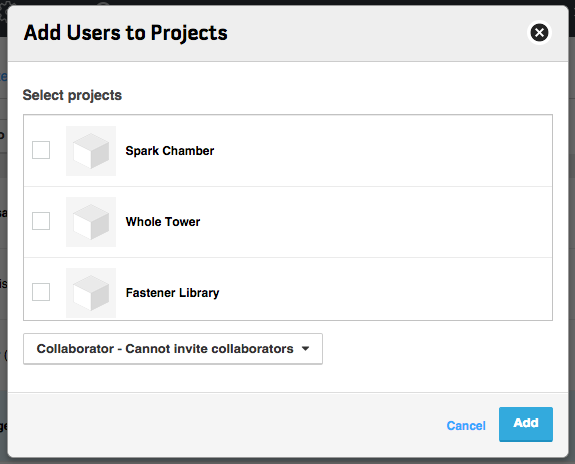 Users can be invited to a project with different permissions: project owners, collaborators, and view-only collaborators. 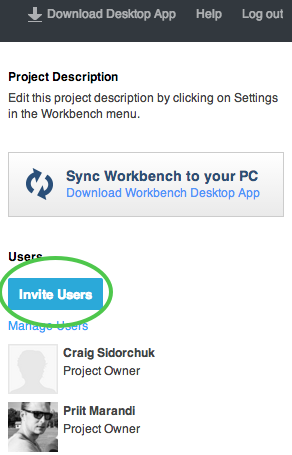 Once added to the project, users can share files via the Workbench Desktop App or through the web interface. Once you click one of these buttons, a prompt will appear asking you to invite users and add a personal message. You can select users from a list of users on your account or enter email addresses of the users you want to invite. 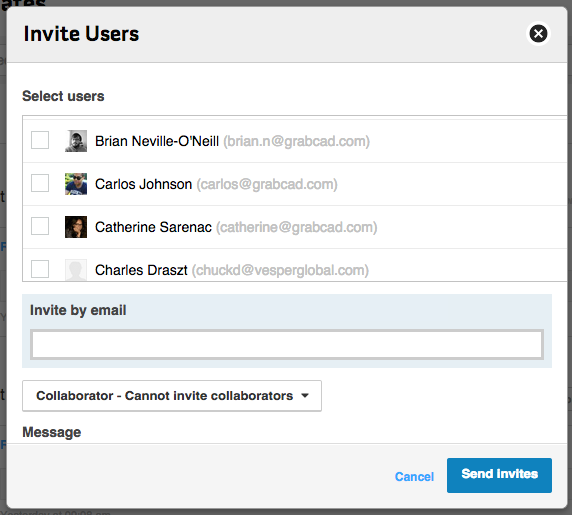 You can invite users as a collaborator, a project owner, or view-only users.